Eagle Foothills Vineyards | Eagle Idaho Real Estate | Think Alei. In the wine industry, an AVA (American Viticultural Area) designates a specific geographic region as historically and topographically distinct, producing wines with distinguishable characteristics. Historically, most wine grown in Idaho, as well as some areas of eastern Oregon, had been a part of the Snake River Valley AVA. But thanks to the tenacity of one local wine enthusiast and an application process that took two years finally granted the sub-AVA Eagle Foothills officially in 2015. This broadcasted to the wine world about the uniqueness of Eagle Foothills’ grapes. Winemakers at Koenig Vineyards, have been producing great wine with grapes from the Eagle Foothills for many years. They say that one of the most unique attributes about the wine grapes grown is their size. The soil yeilds a much smaller berry which creates a more concentrated and mature taste due to not being diluted by water. The wine community in Idaho has grown immensely, with many people deciding use their own viticultural skills in the foothills. The first harvest labeled with the Eagle Foothills AVA was the 2014 Sangiovese, which was grown at Curlew Vineyards. The wine was labeled under 3 Horse Ranch Vineyards and received a score of 88 points out of 100. The Eagle Foothills Grape Growers Group (EGG), was formed in May of 2017, to help Eagle Foothills growers network with each other and share experiences and advice. The objectives of each grower in the Eagle Foothills AVA are different. Some growers are interested in producing wine under their own labels, others plan to sell grapes to other wineries. The remainder enjoy grape growing and winemaking as hobbies, producing solely for the consumption of their friends and families. Most growers agree that Idaho does not have enough grapes. Demand for Idaho wine is high across the Northwest. 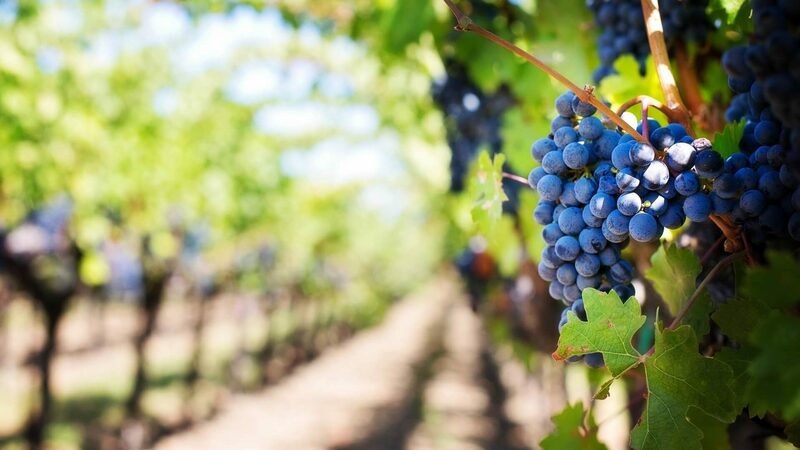 Sometimes producers have to go out of state to fulfill their grape supply needs, or simply don’t produce as much wine as they know could be sold in the current market. The Parson’s planted grapes on their property, Finca Besada earlier this year. Their wine-making daughter encouraged them to take up viticulture. She knew that the Eagle Foothills were prime for grape growing and that there was not enough supply to keep up with demand. In June of 2017, they planted their first grapes; 6 acres, approximately 2,000 Chardonnay plants and 1,100 Syrah plants. They even grew 550 Malvisia plants which is a type typically grown in the Mediterranean regions. Dude DeWald Cellars planted their first grapes around 2 years ago. Prior to planting, they had been making wine in their barn for almost seven years. They would use grapes that they would purchase as locally as possible. They have a background in agriculture, so after many years of buying grapes for their wines and seeing wine growing in Eagle gaining traction, they decided to jump in and plant. They started with a quarter of an acre of Tempranillo. For now, they are enjoying learning about winemaking and grape growing whilst in the process of gaining their licensing to sell commercially. Eagle is full of surprises! If you want to learn more about the potential land on which you could grow your own vineyards, feel free to give me a call! I’m always happy to help inform people of the potential that Eagle has as their next relocation.